In almost any part of St. Petersburg, you can find a clean hamburger restaurant. Of the 23 whose Pinellas County Health Department inspection reports were examined by the Evening Independent, eight had no violations recorded from the last visit. They included: Burger Chef, 10451 Gulf Blvd. ; Biff Burger, 10845 74th Ave. N; Biff Burger, 3939 49th St. N; Burger King, 3544 Central Ave. N; and McDonald's located at 5170 Park Blvd. ; 300 38th Ave. N; 1018 62nd Ave. N; and 2315 Tyrone Blvd. Three of these have perfect records dating back to mid-1973, and include the two Biff Burgers and Burger King. The McDonald's at 260 34th St. N almost had a perfect record but inspectors noted in August that floor and wall tiles needed repairing, and in November, a thermometer was needed in a cooler. At other McDonald's these were the recorded violations: 650 150th Ave. Madeira Beach: a dirty can opener and stok room walls in need of repair; 1200 Pasadena Ave.: a ceiling leak, dirty can opener and inoperative vent fan were discovered in July, but by December, the only violation was a dirty stock room floor; 4595 34th St. S: in November, the restaurant had a perfect rating, but this slipped in January and violations found included dirty utensils, refrigerator shelves, toxic materials being stored over food and utensils, a hand wash sink without towels and a dirty butter spread dish; 7003 Seminole Blvd. : October violations including a dirty can opener, the bottom of a reach-in refrigerator and dumpster area had been cleaned by January when the only violation was no soap in the restrooms. 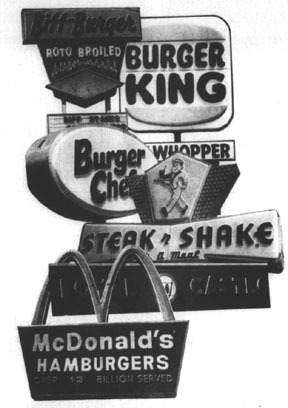 The Royal Castle Restaurants had the most violations of any hamburger chains. A compilation of visits made, and deficiencies noted at these restaurants over a two-year period, was made by the health department. Harry Hall, assistant director of the environmental health section, said the number of deficiencies noted were individual violations, however, the corrections listed might be misleading since several corrected violations under the same category might be counted only as one. At the Royal Castle, 3747 Fourth St. N, there were nine inspections, six contacts (brief visits to see if earlier noted violations had been corrected), 44 deficiencies and 11 corrections. Others included: 2200 Tyrone Blvd., nine inspections, 27 contacts, 80 deficiencies and 29 corrections; 901 Central Ave., 10 inspections, 19 contacts, 40 deficiencies and 20 corrections and at 2140 16th St. N, 10 inspections, 8 contacts, 44 deficiencies and 20 corrections. A cleaning and roach problem has been evident at the Royal Castle, 220 Tyrone Blvd., since July 1973. In November, a sanitarian found "dead bugs" in a drawer and bottom of the refrigerator. In February, he made four visits and the last notation was "cleaning better but still needs work. There is still evidence of a roach problem, the new manager did not know the proper operation of the dishwashing machine, and the trash had not been emptied in a week." At the 901 Central Ave. branch, a sanitarian has visited 12 times since mid-1973. Someone complained that "the cook was putting rolls up his arm to his elbow and his arms were full of perspiration." The sanitarian noted on the visit that a lot of work had been done but that the restaurant was said to be "excellent," however that rating dropperd and on February 22, the sanitarian noted that "cleaning was needed in most areas." At 2140 16th St. N, cleaning was the major problem. In September, a sanitarian noted grease puddles on the floor, a dirty salad bar box and cream being stored in 60 degree temperatures rather than the required 40 degrees. On January 8, the violations were a need for better toxic control, evidence of mice and roaches, sugar stored on floor, dirty reach-in coolers and dirty, greasy cooking surfaces and surrounding areas including windows and floors. By the 28th, "a good deal of work had been done. Effort noted," said the sanitarian. At the fourth restaurant, 3747 Fourth St. N, these were the violations on February 14: dirty filter, hood, grill, floors, area under cutting board, and men's rest room. At A&W Drive-Inn, 6301 Park Blvd., the violations noted in February were dirty kitchen floors and area where syrup tanks are. A sanitarian also wrote that the worn tiles needed to be replaced. Other fast food restaurants and their most recent violations are: Steak 'N Shake, 1020 34th St. N: "Watch toxic control, doors to ice bin should be closed, cover food in refrigerator, pay special attention to meats and salads, clean filter in kitchen grill, clean racks in walk-in, clean carbonated drink nozzles, possible oil leak on small grinder, repair all refrigerator latches, keep dumpster closed at all times and repair soap leak in men's restroom." Steak 'N Shake, 2401 Tyrone Blvd. : Clean out salad bar, soft drink dispenser, milk dispenser, ice cream freezer, utensil holder, floors in walk-in, floors in storage area and replace ceiling tile over walk-in. Burger Chef, 1280 66th St. N: Clean out floor drains by ice machine, clean under rims of urinals and toilets, clean floors in storage area and repair vent fans in restrooms. Berger's Burgers, 6500 Plaza Drive, St. Petersburg Beach: Clean popcorn machine, clean condiment dispensing box, clean ovens and carpet. Copyright © 1974 St. Petersburg Independent. All rights reserved.